Second Indoors Results & Video – 29th Mar. Message from Berry McCrea.. We have gone from a Feast to a Famine, only 14 competitors today, so with a start at 11.00am we all finished by 3.00 pm!! Some difference from last week. Hopefully we will be back to larger numbers on 12th April! Happy Easter everyone Best Wishes Berry. Click this Link to see Eddie Ingram on a Go-Pro. at the Indoors. Results of “First Indoor” competition. 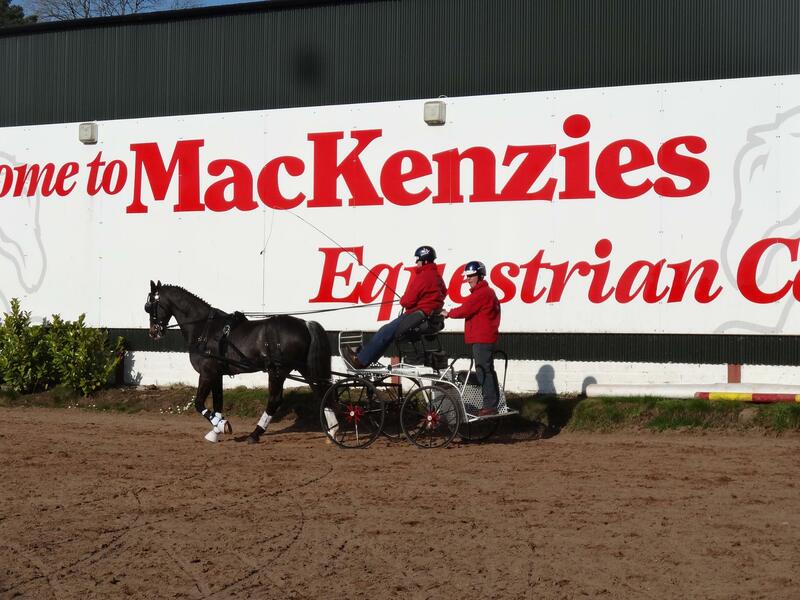 Click this Link –Results of First Indoor 2015 This report by Berry McCrea “We are embarrassed by our success!”, with an incredible 23 competitors for our first indoor competition, it took longer than anticipated to accommodate this large number of entrants. We apologise to those who had to wait to get into the arena for the combined cones/obstacles phase and we will look at getting things better organised for next Sunday, ie perhaps starting earlier and changing the running order. 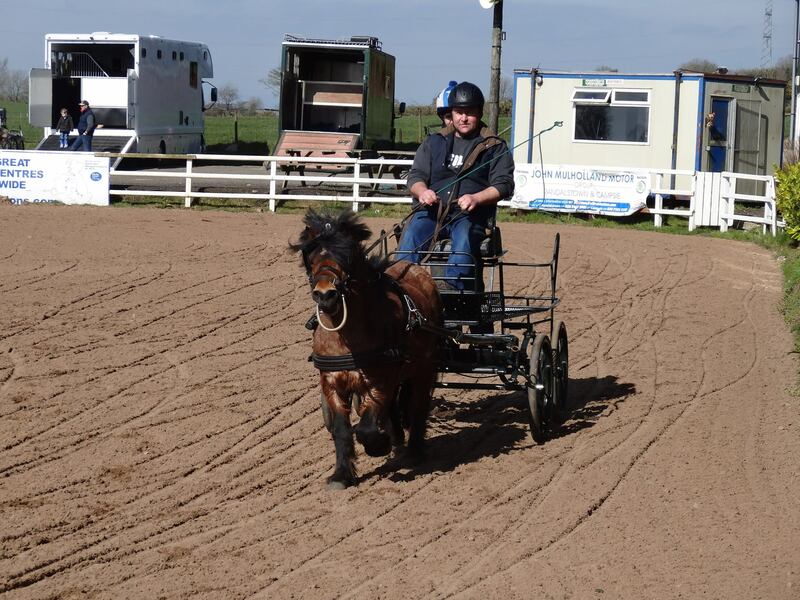 Anyway fantastic to see so many new combinations out; especially Sean Mulholland driving his new horse as well as Frank Hurrell bringing Cheeky out of retirement as well as Sara and Dorothy with their new horses. 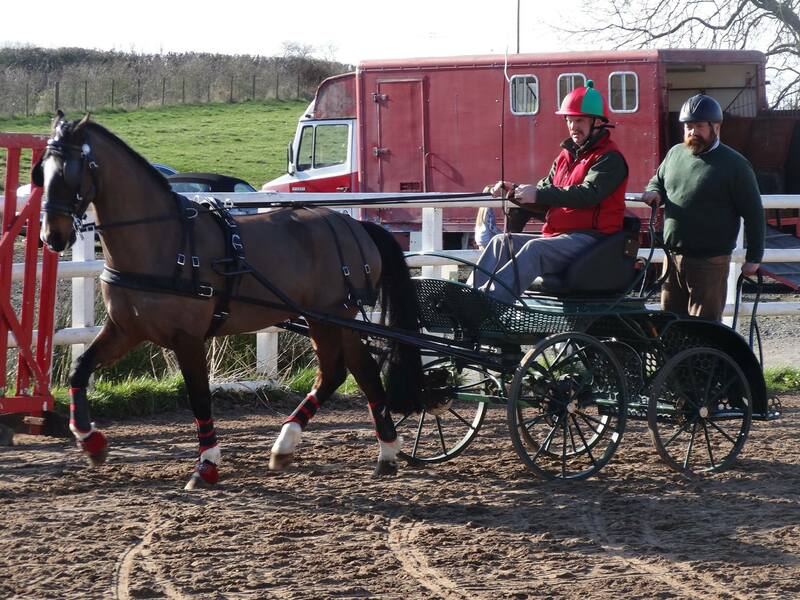 Lovely to also see two new juniors Denise and Georgina Morrison driving little Flicker. It bodes well for a great season ahead!! Some Pics by Terry Logan. 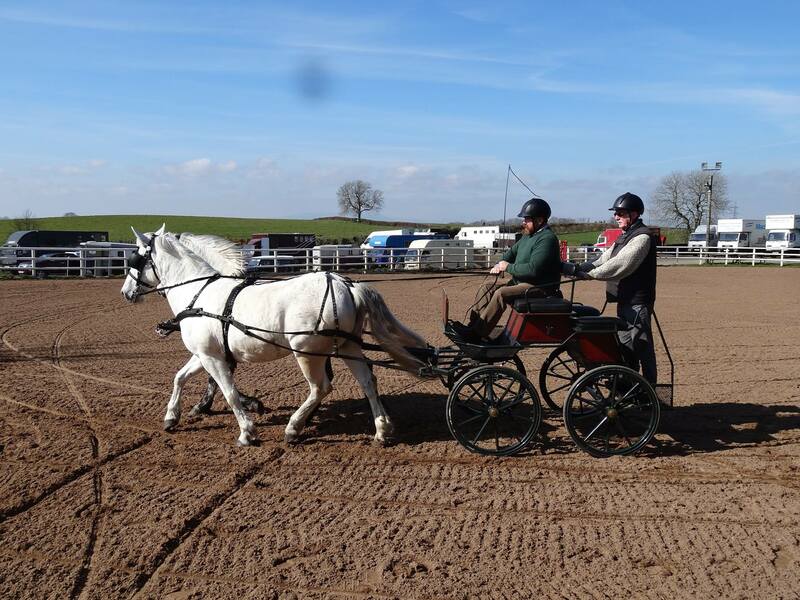 Well done to everyone at the great indoors and great weather hope to see you all soon Maura.